Greetings GLXP fans, and happy Friday! I am reporting to you from Austin, Texas, at the SxSW ("South by Southwest") Interactive festival, where I'll be for the next several days. As I've heard it described by several people, SxSW is where "the entire internet meets in person" for one week. This is the first really big online tech conference that I've been to, and I am pretty excited for a number of reasons, which I'll tell you about later in another post (possibly a video). BUT FIRST -- I want to announce the winners from last week's Friday Fun Day! 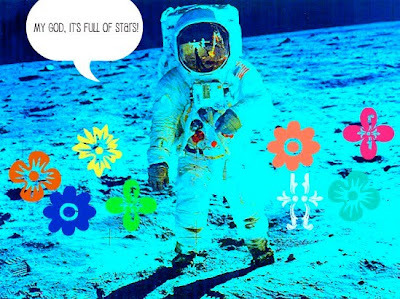 For #FFD last week, we had the community submit artwork using the new Google image tool, Picnik. 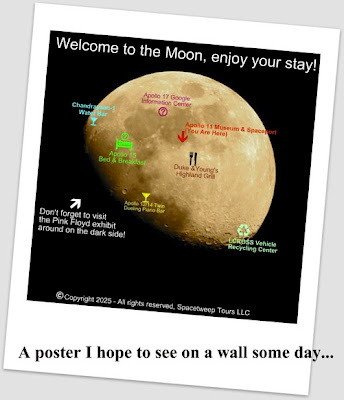 The winners will receive such coveted prizes as Google Lunar X PRIZE t-shirts and hats! The votes are in, so without further ado... congratulations to our winners, @Snibble and @mattcollister! Great artwork, guys, and thanks to everyone that contributed to last week's contest. Over the next few days, stay tuned to this blog and the #SXSWi hashtag on Twitter to keep up with GLXP. We'll have some great stuff to share.